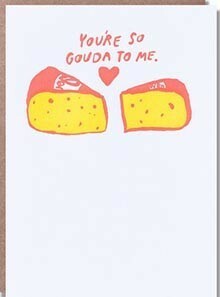 3.75" x 5.25" greeting card letterpressed by Egg Press in Portland, OR. 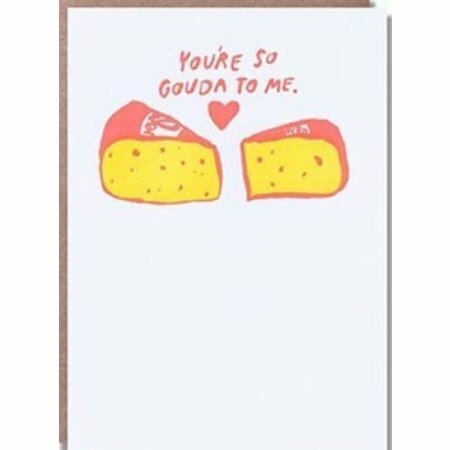 Front of card reads "You're So Gouda To Me." Blank on the inside.